We are a collective of young New York City based chamber musicians. If you hire us we can play a mix of classical music, jazz, eastern European, and pop music. Or we can play whatever type of music you want us to! We can play as string duo, trio, or quartet. You can hire both of us or just one of us. Our names are Nathan and Ben, and we are from Philadelphia and Mount Holly, New Jersey, respectively. Did a great job. Thanks! Nathan was punctual and very flexible with scheduling. Thanks again! I had their string trio play during my wedding. They had a great set and made a great impression as guests were being seated for the ceremony, and played wonderfully during all the entrances and out-tro. I'm glad you enjoyed our performance! Congratulations on a lovely ceremony, it really was memorable, unique, and sweet. My husband and I could not be happier with our experience with Manhattanville Strings. We planned a wedding pretty quickly, and I very much wanted to have live musicians for our ceremony and cocktail hour. They were so responsive from the start, and immediately understood our desire to have a mix of both classic and modern music played with the string trio. All of our guests absolutely loved the music, and could not speak more highly of them! Nathan Kamal was the consummate professional. He was prompt, courteous, prepared, and my mother in law adored the music that he played for her birthday party. She even included him when she went around the table thanking everyone for their contribution to this party and to her life. As she is a Holocaust survivor, music got her through some very dark times, and she was happy to be able to share that with Nathan. We would definitely hire him again. Rena--It was a joy for me to perform for you mother in law. I had a lovely time talking to her after the performance, and am so glad she enjoyed it. Nathan and Marcel were terrific. Their playing was a wonderful compliment to the funeral mass. stunning choice of music and very professional! 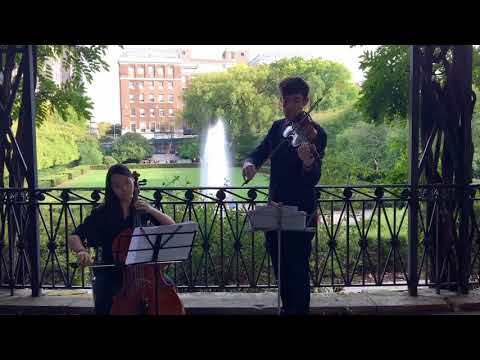 We recently booked Manhattanville Strings to play Violin/Cello duet for our Central Park wedding and highly recommend them. Nathan was highly responsive to our messages and provided suggestions and feedback about the playlist. We felt a great deal of freedom is selecting songs that were important to us, both pop and classical, and all were played with skill and passion! They also coordinated well with our officiant and had a great sense of timing for when particular songs should be played. We also appreciated that they dressed up perfectly for the event! We were sad to not be able to just sit in the park and listen to them, but we received many compliments from guests on their music. If you are looking for talented, professional musicians for your event I cannot recommend more highly Manhattanville Strings. 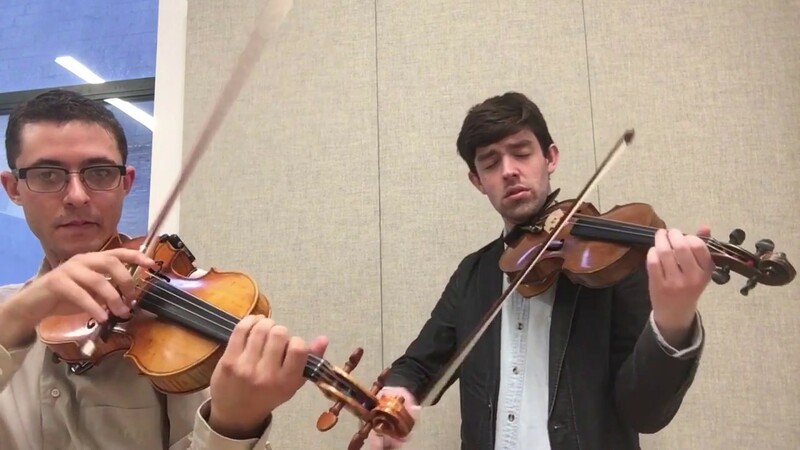 We are a young mixed-repertoire string collective based in New York City led by Nathan Kamal and Ben Sutin. If you hire us we can play a mix of classical music, jazz, eastern European, and pop music. Or we can play whatever type of music you want us to! We can play as a violin duo, a violin-viola duo, string trio, or string quartet. You can hire both of us or just one of us. Nathan is a violinist, violist, and composer born and raised in Philadelphia. His compositions integrate improvisation into classical forms. 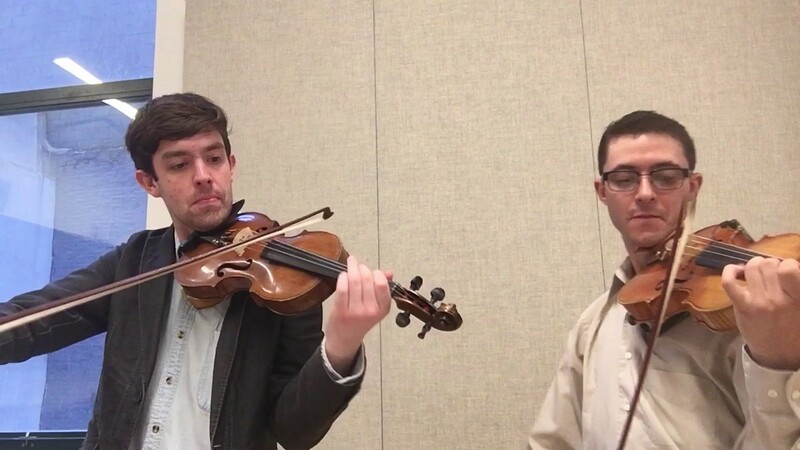 A classically trained violinist from childhood, Nathan spent his teenage years immersed in Philadelphia's rich jazz tradition, studying with John Blake, a forefather of jazz violin. At age 18, Nathan moved to New York City, where he pursues degrees in Jazz and Contemporary Music at the New School. Now 22 years old, Nathan splits his efforts between composing and performing music. Recent performances include the Bern International Jazz Festival, and the San Fransisco Museum of Modern Art. He performs frequently in New York City with his improvising/mixed repertoire string quartet, Stratus Quartet. On most days and nights he can be found making music with and for his friends. 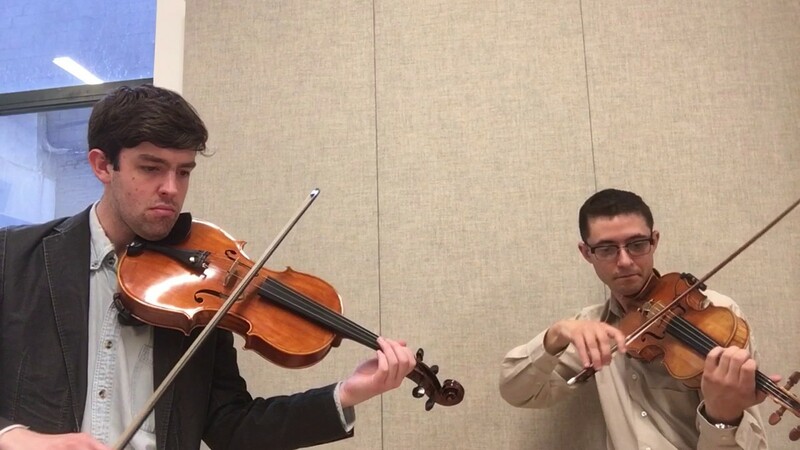 Motivated by a diverse musical palate and burning passion to connect with people of all creeds through his music, violinist, pianist, composer and educator, Benjamin Sutin is currently living in New York City. He began his career in Philadelphia, where he studied with legendary jazz violinist, John Blake Jr. Sutin has since had the privilege of performing in venues such as: Carnegie Hall's Stern Auditorium, NJPAC's Victoria Theater, Dizzy's Club Coca Cola, Lincoln Center Out of Doors, Microsoft Theater, the Nassau Coliseum, Oracle Center, Clifford Brown Jazz Festival among many more. Sutin has performed with Distinguished Concerts International New York, the National Yiddish Theater Folksbiene, Tran-Siberian Orchestra, Arijit Singh, Larry Harlow, Bobby Sanabria, Pandit Samir Chatterjee, Ronnie Burrage, Benito Gonzalez, George Burton, Diane Monroe, and Tommy Byrnes. Finally, he has garnered acclaim in the jazz violin community from the likes of Jean Luc Ponty, Regina Carter, Christian Howes and Sara Caswell. On hearing Sutin for the first time, Caswell wrote, “his adventurous musical lines and underlying creative energy left me feeling that I had witnessed a unique voice destined for something great.” Sutin graduated from Manhattan School of Music in 2015 with a BM in Jazz Violin Performance. He has studied Klezmer and Jewish Music with David Krakauer, Alicia Svigals and Yale Strom. 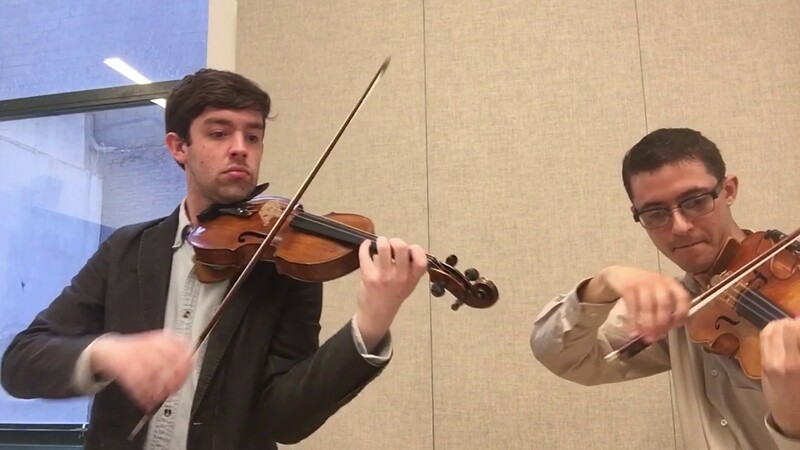 Benjamin currently teaches violin at Tone Academy of Music, Harlem School of the Arts, New Jersey School of Music and at the Elisabeth Morrow School's Annual Summer String Festival under the direction of Amelia Gold.